1) The bully positions themselves as the smartest, strongest, richest, most tenured (fill in any adjective you like) person in the room. They proclaim this often enough so people begin to believe it’s true. 2) They then declare the team’s direction and objectives, and position anyone who has a different idea or perspective as a complete idiot. This step is a shrewd move. 3) Because people don’t want to be thought of as idiots by others, the only option appears to be agreement with the bully’s declaration. Should you speak up with an alternative perspective, the bully quickly mobilizes those in his control to isolate you as an outlier. Your dismissal is imminent. 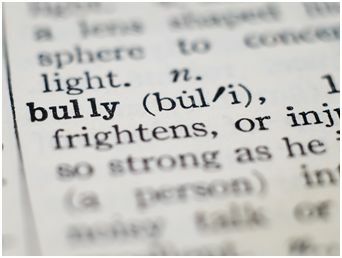 Bully leadership never has been, nor ever will be, a sustainable model. Eventually, the number of people proclaimed idiots becomes so high that, as the majority, they can wrest the power. The key to challenging this behavior is to form the alternative majority as quickly as possible. As in most areas of life, those with intentions to serve others rather than themselves; who choose to speak up (and keep speaking up), may be an outlier at first. But the rest of us will join you.